Every Day hundreds of brands are introduced. Are you doing what it takes to stay ahead of the curve? Shop It Free is a new way to get people to pay for your product and services and turns indecisive customers into buyers and also helps turn browsers into buyers. It is an ideal platform to promote your brand online to increase both reach and quality. Shop it Free helps you get exposure and enables you to reach out to your new customers in the most effective way. Whether you are an online retail store, or a restaurant or even a physical store, we can help you attract customers and increase your revenues. Shopitfree has various in-store, retail store partners and online partners. We have partnered with 200 brands in the country. Individually, our advertising partner companies are leaders in their respective disciplines. Weâ€™re all about increasing the visibility that drives sales. And reducing the complexity to achieve it. We give you the kind of exposure that wll make your brand stand out from the herd and make you reach a smart, net savvy, high disposable-income consumer bracket. Our revolutionary platform engage shoppers and make more sales. You can now reach millions of people with Shopitfree. It is designed to maximize your revenue. 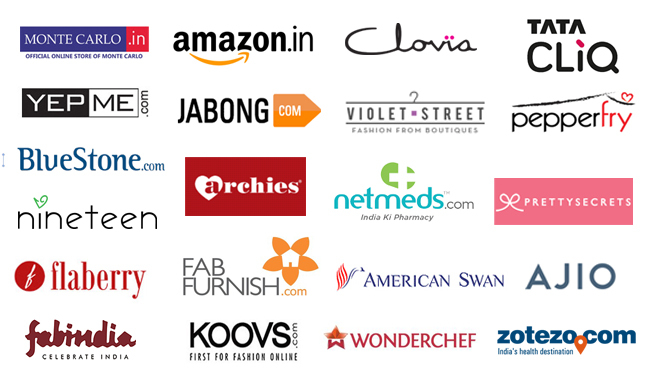 Shop it Free has partnered with 200+ brands across verticals which makes us the largest of its kind in India. No wonder people love us!ram. The collective reach of our website, newsletters and social media channels ensure that a huge number of people come in contact with you. If you are on Shop it Free our users will flock to you! Get exposed to a high social impact and loyal customer base.